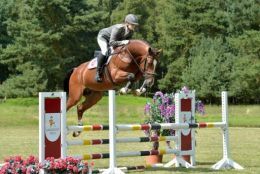 At his first free jumping training it was clear to everyone that the talented young stallion Qualito had a lot of potential in sport and as a future sire. Characteristics like intelligence, willingness to perform and sophisticated technique confirmed this observation. 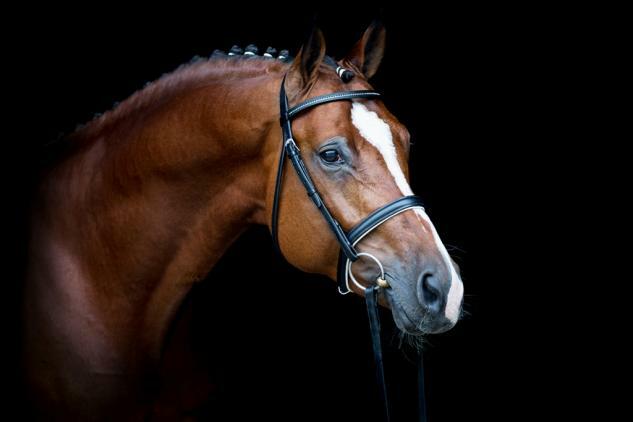 After that it was no surprise when this beautiful sportsman was able to win the 2014 Verden Free Jumping Competition. 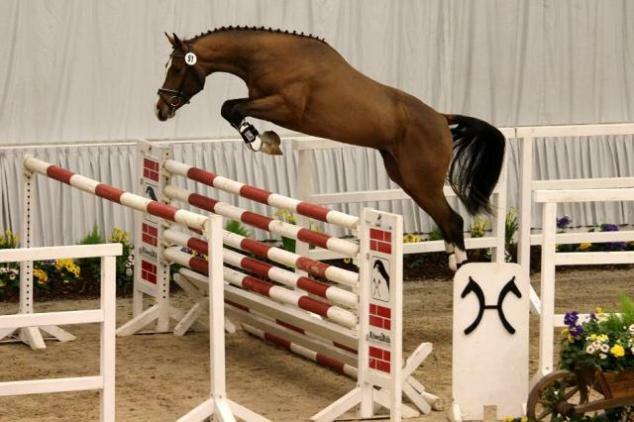 After his performance he was licensed as a proven Hanoverian stallion. 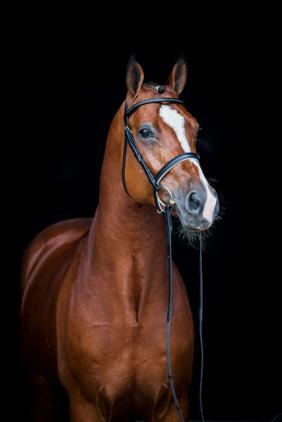 Qualito is not only an outstanding jumper, but he also impresses with an excellent canter and a good trot. Breeders enjoy using him and you can see from his offspring that many of his foals inherate his look. His quality is of no coincidence. Qualito has many successful ancestors like Sandokhan, Firth of Lorne, Accelerator, Stenograph and Check In. He comes out of the dam line of Norm and is one of the youngest stallions from this lineage. In additon, successful brood mares, auction and sport horses have been produced along this pedigree. 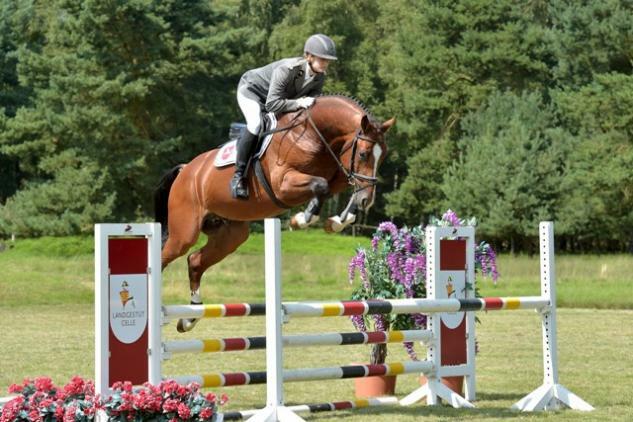 Qualito qualified for the 2016 Warendorf German Championship of young sporthorses in Warendorf. 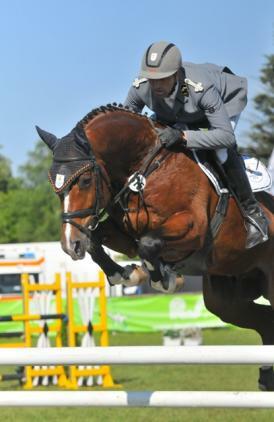 Qualito is truly an exceptionally talented athlete with the best genetics.